Public Self Storage was established in 1979, our modern, clean and secure storage facility is easy to access. We have a range of self-storage solutions to suit your needs. All over Melbourne, more people trust Public Self Storage to keep their belongings safe and dry, with our purpose-built storage units. 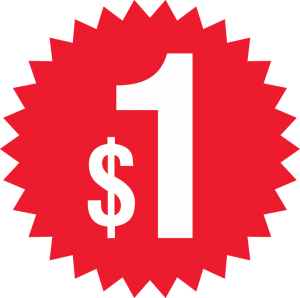 Public Self Storage makes it easy to get started and currently you can get your first month’s hire on a unit for just $1 at the Braybrook store. For our online customers, use our digital booking system and you will get your unit at up to 50% off the regular price for the first month. Read our terms and conditions to find out more. Talk to our team about what we can do for you and how we can tailor our services to meet your needs. We take pride in our commitment to customer satisfaction and helping people solve their storage problems. Our units are dry and secure, which means you can leave virtually anything in them and have peace of mind that your belongings are safe. This includes furniture, electrical equipment, vehicles, computers, mementoes and precious items, books, seasonal storage of sports equipment and outdoor furniture, and much more. For further details, please don’t hesitate to get in touch. We will happy to discuss your requirements and devise a self-storage solution to suit your specific needs. We have many years of experience in the industry and have the expert knowledge to ensure you make an informed decision. Pick up the phone and call us today on (03) 9689 8222 at Braybrook, or (03) 9401 4774 at our Epping location. Our team will be able to answer any questions and queries that you may have. Alternatively, you can use our online contact form and we will get back to you as soon as we can.